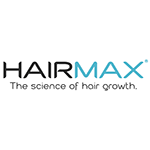 HairMax is recognized as the pioneer of at-home laser hair regrowth technology and is the undisputed global leader in the field, bringing doctor recommended laser light hair growth treatments to hair loss sufferers around the world. We’ve earned that recognition by developing FDA Cleared, clinically proven hair growth laser medical devices, that treat hair loss. reverse hair thinning and provide breakthrough hair growth benefits without drugs or harmful side effects.